Every player wants to stand out and have a unique deck with golden cards. Since what can be more prestigious then golden cards? Gilden hero portrait, of course! If getting golden cards can be difficult, then getting golden portrait in Hearthstone is very much possible, it only takes a lot of time. By getting the golden portrait your hero also acquires a unique animation and fully animated hero power. 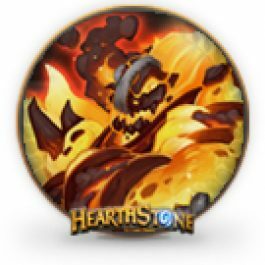 How to acquire a golden hero portrait in Hearthstone? 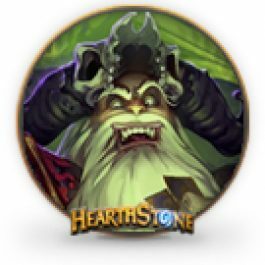 In order to acquire a golden hero portrait in Hearthstone, you will need a lot of patience and time. To get the golden hero portrait, 500 ranked Hearthstone match victories are required. And if you want golden portraits on multiple heroes, you will need to get 500 wins on each of the heroes. Just imagine the time required for this. 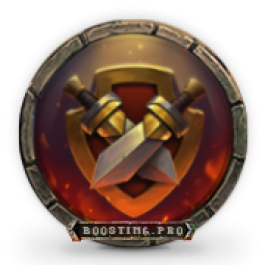 We offer golden Hearthstone hero portrait farming services for the hero you want. By using our services, you can keep your nerves and save a lot of time. You can track the progress of your heroes in the Deck section of ranked play. Deadlines: The order is fulfilled in 3 to 17 days, depending on the required ammount of wins. In rare cases it can take more time, and we will inform you of that beforehand. Can I order a service for multiple heroes? Definitely! You can order a service for Golden Portrait farming for any heroes and pick the order of the completion. What would happen with my rank? Our booster will play at 20-15 rank level. Playing at low ranks allows to get wins fast. We guarantee that after we get 500 wins, your rank won’t get lower than befgore you ordered the boost.